Monopoly Sells Wesnesday on CW! Lot 1 Monopoly x Friction Steer. Sells next Wednesday December 4th, on James Williams Cattle and Brock Welshans Show Cattle Online Sale, hosted by cwcattlesales.com. Heat Wave cow for sale! 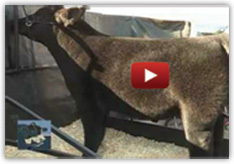 Bred to I-80 – She sells today on Show Stock Planet! Beauties of Black Friday – Bidding Now Open! Bojo Steer Tops Cactus Rose Sale for Nick Tooker! CHECK OUT THIS GREAT FEMALE FROM HILBERT’S – SELLING SUNDAY! Ali solution x sim/angus steer for sale now. For details PM or call Nick Pruet at 317-407-8671. BLACK FRIDAY STEER FOR SALE – MONOPOLY 2! Gobble Gobble! It’s sale day for Cactus Rose! Get your bids in early! Happy Thanksgiving from Lautner Farms! Gearing Up for Turkey Day! Lautner Farms – Updated High Sellers! A Tribute to American Farmers!